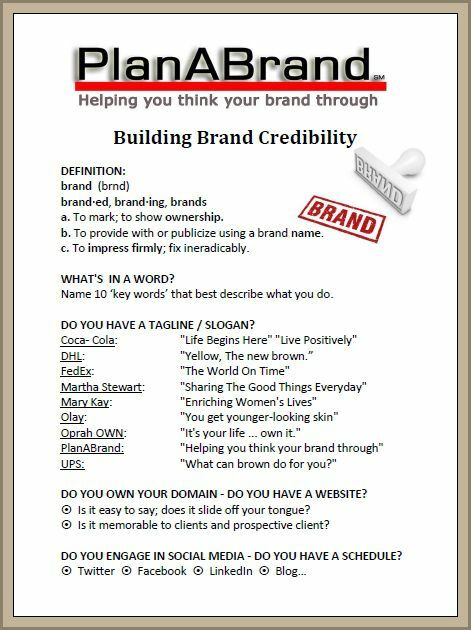 Your brand is the non-verbal representation of your business when you’re not around to tell the story©. Being in a service business myself, I believe it’s harder to market my business than if I sold a product. A commodity is tangible, definitive, and there is a hard, visible end result. You buy a new sweater, car, bike, toy for your kid. That’s easy… except for all the digital competition. But when in a service industry, you are appealing to someone’s pain – a need. And there must be a call to action. For instance, when I post to my blog, I try to educate and create a need for my services, either by asking if you have a ‘pain’ in a particular area – like now, … Are you having trouble with your brand identity? Let’s talk: 805-455-4577 or send me an email at: cindy@planabrand.com. Make it easy for a potential or existing client to reach you – instantly. Offering a reduced price for services for a limited period of time is also a good tactic, but there must be a call to action. Think of 3 ways you can pique interest. What does a potential customer want to hear as it relates to your service? This is not always an easy exercise but I assure you, it will be helpful to you and work your brain in a way that you perhaps are not used to. It is challenging to get quiet and focus but this homework will surely give you some great ideas. Need help brainstorming and upping your game? Let’s talk: 805-455-4577 or send me an email at: cindy@planabrand.com. Appointments are available on-site and virtually.